The first obvious sign of storm chasers is that they are not local. You can find it out by looking for the number plate of another state on their vehicles. There are high chances that the truck would not be locally registered if the contractor were illegitimate. It implies that the contractor will not be available for repairs, upkeep or other services in case you need them in future. The storm chasers often offer low prices than normal, but they are usually involved in illegal rebates and kickbacks. The first thing you must do is to verify the background and the associated company of the contractor who has knocked your door. Find a trusted and licensed contractor to address and assess the damage. If the contractor is genuine, they can definitely provide you the references from other homeowners in your locality. 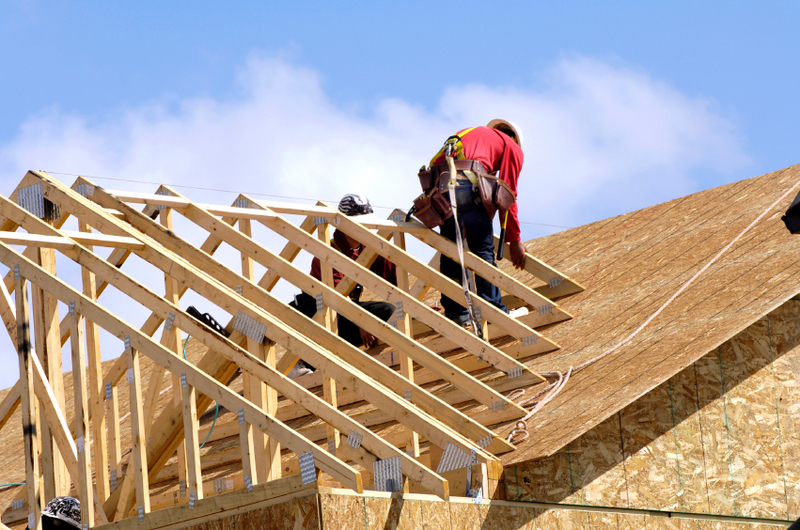 They can be verified on websites and they also present an evidence of insurance, which must be there in case any of their workers is injured while working on your roof. You must check that your contractor has the listed office address in your locality and he/ she does not give you a P.O. Box. You must do this basic research to avoid mistakes in hiring an incompetent contractor. The illegitimate roofing contractor will often pressurize you with tactics like limited period offer, great deal, etc. Moreover, if the damage in the locality is a widespread, offering cheap price does not make sense. A storm chaser will definitely ask you to pay in advance the most part of payment for the job. Do not pay the cash before your roofing construction is complete. Legitimate contractors normally do not ask for complete advance payment. You must ask for local references and verify them to ensure that the work they do is up to the mark. You must verify the insurance period and the license of the contractor. You can call up Better Business Bureau to find out if there are any complaint against the company in the past. You must sign a contract consisting of details of your roof job and the agreed price. Do not forget to take the address and phone number of the roofing company they allegedly represent. You can even visit the company to confirm that the contractor is legitimate, or in the worst case, if the company is legal. You can also call them to confirm whether the contractor is hired by the company. Normally, if the contractor is a storm chaser, he/ she will insist that you must get the work started as soon as possible so that you do not get the time to think or discover about their existence. However, you must keep patience and verify about the whereabouts of the company before handing over cash to them.